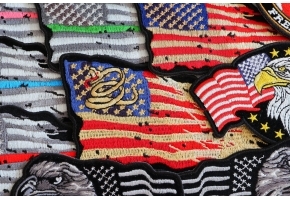 American Flag Peace Sign Patch measures 4x4 inches and is Embroidered in Black / Red / White / Blue. The Small can be sewn on or ironed on to clothing. 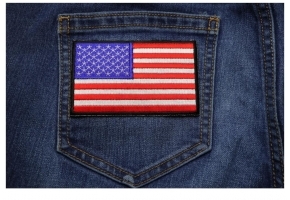 The American Flag Peace Sign Patch features plastic iron on backing and clean laser cut embroidered borders. 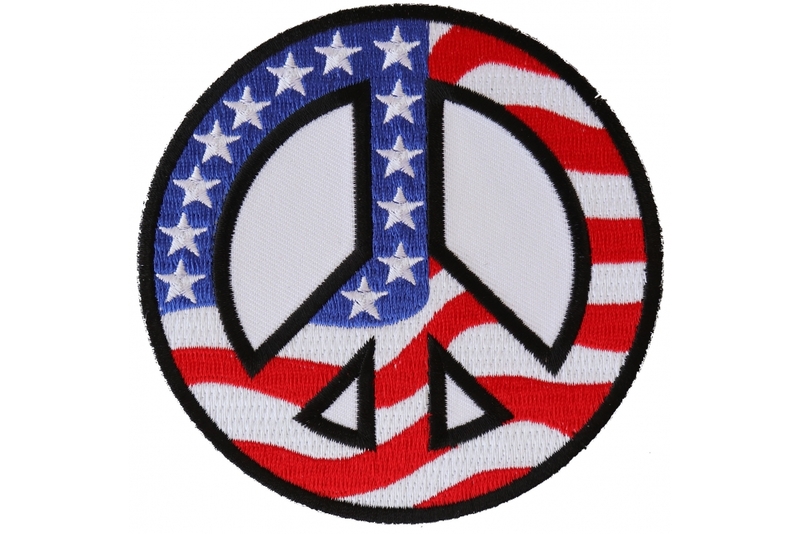 The Patch features the American Flag Blue color and stars on the top left circumference of the peace sign as well as the center vertical line. The rest of the patch has waving white and red lines. 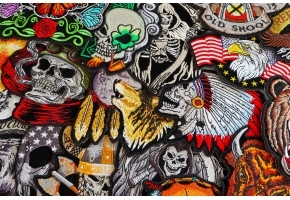 The patch has embroidered black borders. 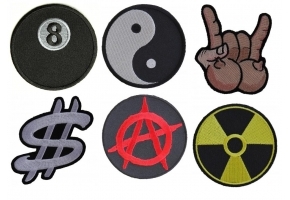 Patriots will absolutely love this American Flag Peace Sign patch. The fabulous red, white, and black colors will stand out perfectly on black leathers. Moreover, the clean-cut embroidered borders make it easy to sew on. For those who prefer wearing denim jackets and vests, patch application is even easier thanks to the Japanese glue backing that allows it to be effortlessly ironed on. The patch is available in two sizes: 3x3 inches or 4x4 inches. 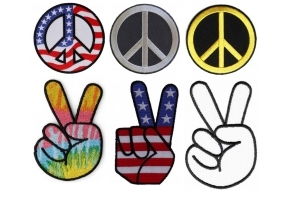 If you are one of those cool chaps who is fond of a few phrases like “Peace Out”, “Chill Bro” or “Cool Dude” then, this American Flag Peace Sign Patch is definitely made for you. The lovely and the vibrant colors of the American Flag embroidered to resemble the Universal Peace sign can make you look even cooler and smarter when you walk around. This can be one of those sophisticated patches which can make you look both classy and trendy at the same time. 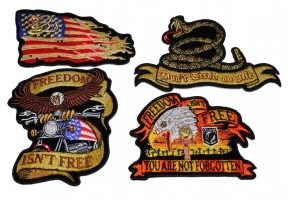 This patch is made exclusively for patriots and the ones who wear this and flaunt around would certainly make others feel jealous.